These are our adult music groups. Anyone in High school or older are welcome to join. This is our adult choir group. Anyone High School age on up are welcome to join. 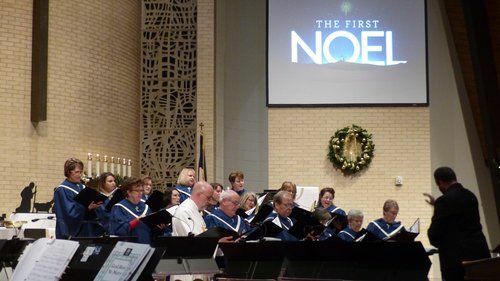 They sing at the occasional service, on major church holidays, and have two concerts (December and May). 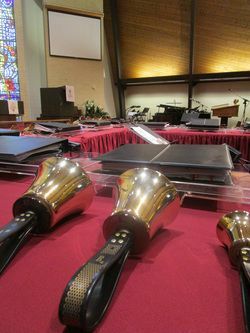 This group plays music on hand bells. It is easy to learn. Some basic ability to read music is helpful. They play at the occasional worship service and for the two concerts (December and May). 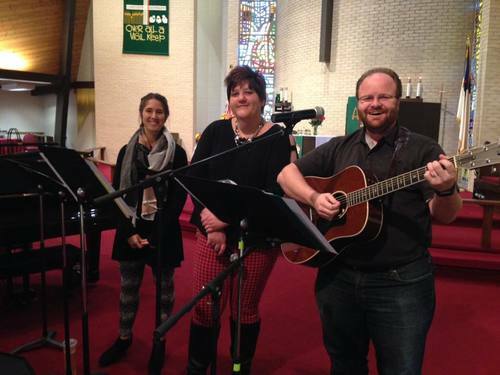 This group provides the music for the service at 10:30am. They currently have a drummer, a keyboardist, a couple of guitars, and singers. Practices vary, but are usually Tuesday nights.